In 2015, as Americans worried about terrorist attacks at home and abroad, a disturbing new study showed that while 71 Americans were killed in terrorist attacks on U.S. soil over the past decade, more than 300,000 were killed by gun violence. A report in the Guardian showed that African Americans were more than twice as likely to be unarmed when killed during encounters with the police as white citizens. Glen Starks’s African Americans at Risk: Issues in Education, Health, Community and Justice examines why African Americans are disadvantaged in comparison with the majority population. We were shocked when the media showed a picture of a toddler, a Syrian refugee, washed up on the surf of the Turkish coast and saddened when terrorist attacks in Paris killed more than 120 people and injured some 200. These events prompted discussions of what to do about an escalating exodus of refugees from war-torn countries. 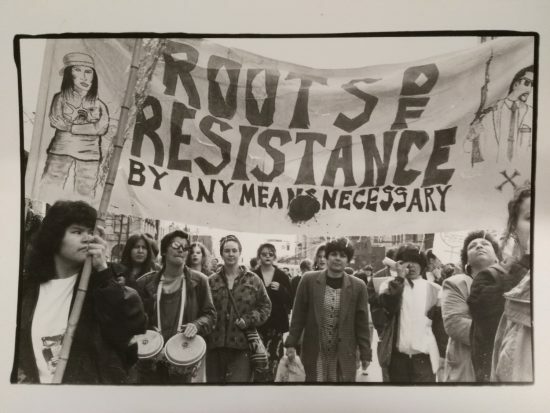 Asian American Society: An Encyclopedia from SAGE reminds us that although the United States is a nation of refugees, assimilation is not always easy. On the 100th anniversary of the Armenian Genocide, ABC-CLIO published Modern Genocide, which ­describes each atrocity in text and documents. The subject of the birds, bees, and butterflies brought us some wonderful new sources. Parrots of the Wild from the University of California Press was the culmination of a life spent researching some 350 species of parrots. Complete with 900 beautiful color illustrations, Joseph Wilson and Olivia Carril’s The Bees in Your Backyard addressed some 4,000 different species, while Monarchs in a Changing World from Cornell University Press enhanced our knowledge of the mysterious monarch butterfly. To honor the centennial of Albert Einstein’s general theory of relativity, Princeton University Press produced its exceptional An Einstein Encyclopedia, which looks at Einstein as a personality, scientist, political figure, humanitarian, and even poet. Food was also a hot topic for reference publishers. The launch of Oxford University Press’s Savoring Gotham: A Food Lover’s Companion to New York City, edited by Andrew Smith, was complete with local food, wine, and beer. Critics also heaped praise on The Oxford Companion to Sugar and Sweets, edited by Darra Goldstein, and the fourth edition of the Oxford Companion to Wine by Jancis Robinson. Finally, The Sage Encyclopedia of Food Issues, edited by Ken Albala, helps readers understand food processing and safety. Finally, as the world is keeping its eye on Russian president Vladamir Putin, it was good to have Ian Barnes’s final gift to us, Restless Empire: A Historical Atlas of Russia, from Harvard University Press, with an entire chapter devoted to “The Putin Era.” Barnes, the author of so many great atlases, died in 2014. Anderson, Zoë. The Ballet Lover’s Companion. Yale Univ. 384p. illus. index. ISBN 9780300154283. $40; ebk. ISBN 9780300154290. Berg, Charles Ramírez. 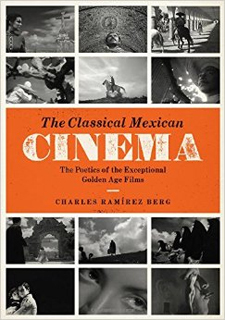 The Classical Mexican Cinema: The Poetics of the Exceptional Golden Age Films. Univ. of Texas. 254p. illus. notes. index. ISBN 9781477308059. pap. $24.95; ebk. ISBN 9781477308073. Fisher, James. Historical Dictionary of American Theater: Beginnings. Rowman & Littlefield. 570p. bibliog. ISBN 9780810878327. $135; ebk. ISBN 9780810878334. French Cinema in Close-up: La Vie D’Un Acteur Pour Moi. Phaeton. 438p. ed. by Michaël Abecassis with Marcelline Block. illus. index. ISBN 9781908420114. $35. There may be other biographical dictionaries of the French cinema, but none with such engagingly written biographies as this one. Editors Abecassis (French, Oxford Univ.) and Block have assembled an international cast to write personal sketches of actors and actresses in the French cinema. American audiences will recognize names such as Gérard Depardieu, Oscar winners Juliette Binoche and Simone Signoret, and singer-actor Maurice Chevalier. Chevalier’s sketch chronicles his many early successes, postwar troubles, and triumphant return to the United States after 1954 with Love in the Afternoon. The highlights of the dictionary are the hand-drawn caricatures by artists Jenny Batlay, who’s based in New York, and Igor Bratusek, at the Sorbonne in Paris, that accompany each sketch. Read collectively, the pieces document trends in French cinema and its close connections with the theater. Gray, John. Carnival, Calypso and Steel Pan: A Bibliographic Guide to Popular Music of the English-speaking Caribbean and its Diaspora. African Diaspora. 479p. index. ISBN 9780984413454. $124.95. In 1993, bibliographer Gray began to document resources relating to the music of the African diaspora. This title, the sixth in the publisher’s “Black Music Reference” series, notes that popular music in the English-speaking Caribbean has two principal hubs. The first was covered in his Jamaican Popular Music. With a Trinidad base, this second hub explores the intertwining of carnival, calypso, and steel pan in some 3,400 entries arranged regionally from Antigua to the Virgin Islands, including West Indian communities in North America. A separate biographical section profiles some 600 individual performers and ensembles. Gray documents how, from their beginnings as colonial harvest celebrations, carnivals became spectacles that are major economic engines for their regions. Criteria for inclusion include research potential and accessibility to researchers. 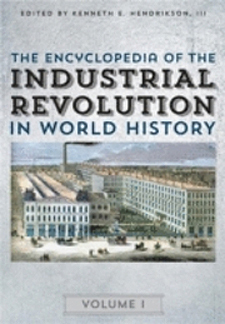 The Encyclopedia of the Industrial Revolution in World History. 3 vols. Rowman & Littlefield. 1172p. ed. by Kenneth E. Hendrickson III & others. illus. index.ISBN 9780810888876. $240; ebk. ISBN 9780810888883. Clothing and Fashion: American Fashion from Head to Toe. 4 vols. ABC-CLIO. 1786p. ed. by José Blanco F. illus. bibliog. index. ISBN 9781610693097. $415; ebk. ISBN 9781610693103. This sweeping overview of fashion and apparel describes American history through the clothes its citizens wear and wore. Earlier volumes cover the colonial and federal eras and the 20th century through World War II. Here, Blanco (apparel design and merchandising, Dominican Univ.) features 800-plus entries written by more than 100 fashion experts and clothing historians. The entries are arranged alphabetically by period and enhanced by helpful glossaries and detailed bibliographies. Engaging entries include the “mantua makers” who made fitted clothing for 18th-century women and children, the first ready-to-wear men’s suits offered at Brooks Brothers in 1849, and the skateboard and surf fashion of recent decades. Well-written and -researched entries are enhanced by black-and-white and color illustrations. Given the popularity of popular culture classes, every library needs a copy. The Oxford Companion to Sugar and Sweets. Oxford Univ. 920p. ed. by Darra Goldstein. illus. index. ISBN 9780199313396. $65. The Oxford Companion to Wine. 4th ed. Oxford Univ. 860p. ed. by Jancis Robinson. illus. maps. ISBN 9780198705383. $65; ebk. ISBN 9780191016073. The SAGE Encyclopedia of Food Issues. 3 vols. SAGE. 1664p. ed. by Ken Albala. index. ISBN 9781452243016. $395; ebk. ISBN 9781506317304. The more than 400 well-written and well-researched A–Z entries here focus on social and policy aspects of food production, safety, regulation, labeling, marketing, distribution, and consumption. Editor Albala (history, food studies, Univ. of the Pacific; At the Table) is a prolific author and editor of more than 20 books on food. The focus is inclusive and global, as are the contributors. 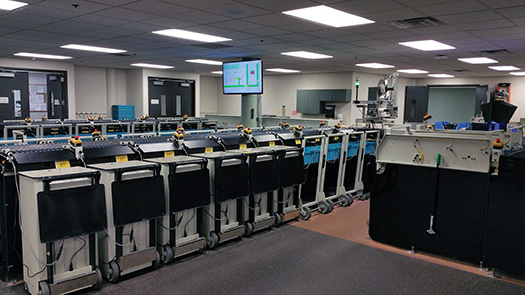 Among the more intriguing articles are “airport meals,” which date to the early 1900s in Europe and are designed to provide order to passengers’ concept of time; the “food justice movement,” which asserts that no one should live without enough food; “food TV,” now 24 hours a day; and ­veganism, a term coined by Donald Watson in 1944. 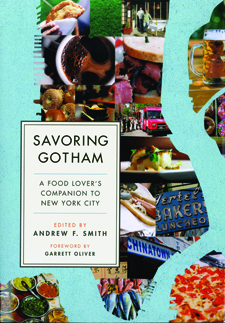 Savoring Gotham: A Food Lover’s Companion to New York City. Oxford Univ. 760p. ed. by Andrew F. Smith. illus. bibliog. index. ISBN 9780199397020. $34.95; ebk. ISBN 9780190263645. This wonderful companion to all things related to food in New York is the brainchild of Smith, who teaches courses on culinary topics at the city’s New School and edited the award-winning Oxford Encyclopedia of Food and Drink in America. In 567 alphabetical entries, the 174 contributors (mostly New Yorkers) describe everything from the cronut (the wildly popular 2013 invention of pastry chef Dominque Ansel), deep-fried Twinkies, famous restaurants such as Delmonico’s, venues such as the Plaza Hotel, street vendors, odd terms like groggeries (grocery stores in tenements where beer and liquor were sold), and people such as Tim and Nina Zagat who created the famous Zagat Survey. Forbes, Bruce David. America’s Favorite Holidays: Candid Histories. Univ. of California. 222p. illus. index. ISBN 9780520284722. pap. $24.95; ebk. ISBN 9780520960442. Barnes, Ian. Restless Empire: A Historical Atlas of Russia. Belknap: Harvard Univ. 240p. illus. maps. bibliog. index. ISBN 9780674504677. $35. This valuable reference source on the history of Russia in maps is a parting gift from historian Barnes. Early Russian expansion is compared with westward expansion in the United States. While the United States is only 2,500 miles wide, Russia is more than 6,000 miles wide. Administering such vast tracts helps explain Russian political development. 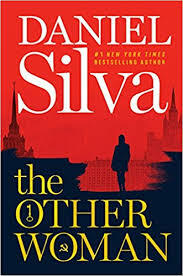 From the “Coming of the Slavs” by the fifth century to “The Rise of the Romanovs” beginning in 1613; from “The Winter War of 1939–40” to the “Russian Oil Exports” in the Putin era, this work enhances readers’ knowledge of complicated geopolitics. Encyclopedia of the Incas. Rowman & Littlefield. 324p. ed. by Gary Urton & Adriana von Hagen. illus. maps. index. ISBN 9780759123625. $75; ebk. ISBN 9780759123632. While the Inca Empire was the largest in the pre-Columbian New World, until recent decades it had drawn less scholarly attention than the Maya and Aztecs. Editors Urton (pre-Columbian Studies, Harvard Univ.) and Peruvian archaeologist von Hagen have gathered 35 Inca specialists to describe key elements of an empire that extended from Colombia to Chile and encompassed coastal plains, mountains, and tropical forests. The Incas did not invent a writing system but used quipus (knotted string devices) for record keeping. There are fascinating entries on fortifications, and their extraordinary road and bridge network, which was some 25,000 miles long, linked Cuzco to the rest of the empire and featured roadside lodgings called tambos every ten to 15 miles. Specialists and students alike will reap the benefits of this helpful reference. 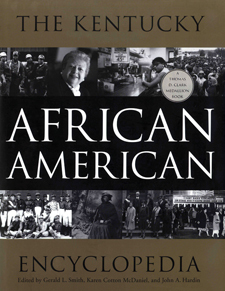 The Kentucky African American Encyclopedia. Univ. of Kentucky. 596p. ed. by Gerald L. Smith & others. illus. index. ISBN 9780813160658. $49.95; ebk. ISBN 9780813160672. Leaders of the Mexican American Generation: Biographical Essays. Univ. Pr. of Colorado. 362p. ed. by Anthony Quiroz. illus. index. ISBN 9781607323365. $34.95; ebk. ISBN 9781457195877. Quiroz (history, Texas A&M Univ.–Corpus Christi) argues that a generational approach can be helpful in understanding history and that collective biographies can shed light on these eras. He identifies the period roughly between 1920 and 1960 as the “Mexican American Generation.” This anthology includes 13 essays on the men and women in states from Texas to California who advanced the struggle for equal rights and social justice for Mexican Americans. Described are the careers of educator José de la Luz Sáenz, one of the founders of ­LULAC (League of United Latin American Citizens); Héctor García, who founded the AGIF (American GI Forum); 1930s feminist Alice Dickerson Montemayor, who promoted “Ladies LULAC” chapters; and politician Edward Roybal, the first Mexican American elected to the Los Angeles City Council since 1881 and who later served in the U.S. Congress. Smith, Myron J., Jr. Civil War Biographies from the Western Waters: 956 Confederate and Union Naval and Military Personnel, Contractors, Politicians, Officials, Steamboat Pilots and Others. McFarland. 329p. illus. maps. bibliog. index. ISBN 9780786469673. $75; ebk. ISBN 9781476616988. The 956 individuals profiled by Civil War historian Smith (director, Tusculum Coll. Lib.) include volunteers, enlisted sailors, military officers, steamboat captains, civilian contractors, and more. Entries are full of fascinating personal details and document both sides of the conflict plus postwar service. Consider William Withers, a hero of the Chickasaw Bayou campaign who was captured at the Siege of Vicksburg and after the war practiced law in Jackson, MS, before moving back to Lexington, KY, to raise horses. Appendixes arrange individuals by organization and campaign. Complete with an exhaustive bibliography, this rich resource will inform scholars and entertain Civil War buffs. 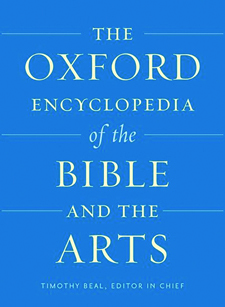 The Oxford Encyclopedia of the Bible and the Arts. 2 vols. Oxford Univ. 1174p. ed. by ­Timothy Beal. illus. index. ISBN 9780199846511. $395. In 2011, Oxford published the first two-volume set in its new “Oxford Encyclopedias of the Bible.” The series has now reached 16 volumes with this newest edition edited by Beal (religion, Case Western Reserve Univ.). Focus here is on the cultural history of biblical texts, themes, characters, images, and the ideas of scripture and the Bible as they circulate in the arts. Coverage is from ancient times to the present. Some 130 international scholars from a variety of disciplines discuss Margaret Atwood’s use of Genesis in The Handmaid’s Tale and Bob Marley’s references to the Bible while addressing issues of social justice in his music. Elswit, Sharon Barcan. The Latin American Story Finder: A Guide to 470 Tales from Mexico, Central America and South America, Listing Subjects and Sources. McFarland. 318p. ISBN 9780786478958. $45; ebk. ISBN 9781476622293. Librarian Elswit (The Jewish Story Finder) spent three years gathering these 470 tales from 21 countries and 75 indigenous tribes of Latin America. Included are tales collected by early Catholic missionaries; told by Sephardic Jews; from indigenous Quechua, Maya, Inca, and Amazonian cultures; and from indentured servants from India. Summaries of stories are arranged thematically from “beginnings and balance” to “strange and mysterious encounters.” Geographical notations with connections (cross references) and other variations of the same tale plus a glossary and bibliography make this a pleasure for instructional purposes. 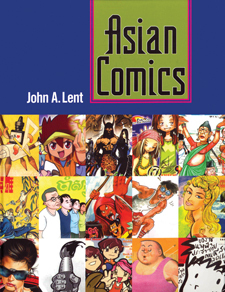 Lent, John A. Asian Comics. Univ. of Mississippi. 400p. illus. index. ISBN 9781628461589. $60; ebk. ISBN 9781626742949. Lent has spent the last 50 years studying Asian mass communications and comic art research. Here, he provides detailed information on 16 countries arranged by region—East Asia, Southeast Asia, South Asia (excluding Japan and former parts of the Soviet Union)—describing their histories, key creators, characters, contemporary status, and trends, complemented by 178 black-and-white illustrations. The author notes that nearly every country from China to Sri Lanka has had a “golden age.” For Cambodia, political cartoons and then comic books that became prominent in the 1960s and favored by King Norodom Sihanouk ceased to exist under the Khmer Rouge of Pol Pot (1975–79) and have been rejuvenated since 2001 after three artists from France started teaching comic courses at an orphanage. Oxford Illustrated Shakespeare Dictionary. Oxford Univ. 352p. ed. by David & Ben Crystal. illus. ISBN 9780192737502. pap. $17.95. Modern Genocide: The Definitive Resource and Document Collection. 4 vols. ABC-CLIO. 2270p. ed. by Paul R. Bartrop & Steven Leonard Jacobs. illus. maps. bibliog. index. ISBN 9781610693639. $415; ebk. ISBN 9781610693646. The word genocide was coined by Polish American Jewish lawyer Raphael Lemkin, while serving as an adviser to the chief U.S. prosecutor at the Nuremberg trials. In the 20th century, according to the editors, genocide assumed unparalleled dimensions in places such as South Africa, Armenia, Bosnia, Cambodia, Darfur, East Timor, Guatemala, Kurdistan, and Rwanda—in addition to the Holocaust. An international team of scholars describe each of these genocides in terms of causes, consequences, perpetrators, victims, bystanders, and international reaction. The work also includes a time line, individual entries on key players, a collection of primary documents, and a bibliography. Depressing reading at times, it will be of enormous value to students and scholars studying these issues and to the general public seeking to understand them. Allaby, Michael. The Dictionary of Science for Gardeners: 6000 Scientific Terms Explored and Explained. Timber. 556p. illus. ISBN 9781604694833. $39.95; ebk. ISBN 9781604697155. Calaprice, Alice & others. 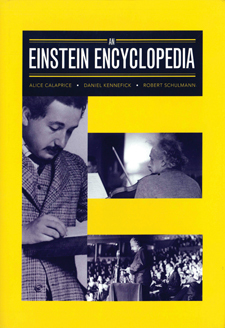 An Einstein Encyclopedia. Princeton Univ. 376p. illus. bibliog. index. ISBN 9780691141749. $39.95; ebk. ISBN 9781400873364. Evolution: The Whole Story. Firefly. 576p. ed. by Steve Parker. illus. maps. index. ISBN 9781770854819. $39.95. Monarchs in a Changing World: Biology and Conservation of an Iconic Butterfly. Cornell Univ. 248p. ed. by Karen S. Oberhauser & others. illus. maps. bibliog. index. ISBN 9780801453151. $35. While there have been several earlier compendia of monarch biology and conservation, the explosion of interest by citizens collecting scientific data has added immeasurably to the body of knowledge of one of the most popular insects in the world. Not intended as a basic primer, this latest volume explores new research on monarchs as herbivores, prey, and hosts; monarchs in a changing climate; conserving North American monarch butterflies; and new perspectives on monarch migration, evolution, and population biology. Authors include an international cast of monarch biologists and conservation practitioners. In a fascinating chapter on the “Journey North,” readers learn that monarchs may spend up to ten hours in flight in their migration from Central America to Minnesota. Toft, Catherine A. & Timothy F. Wright. 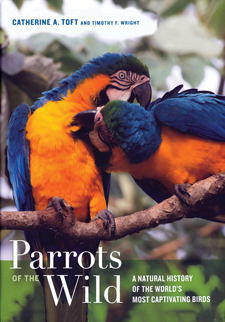 Parrots of the Wild: A Natural History of the World’s Most Captivating Birds. Univ. of California. 346p. illus. bibliog. index. ISBN 9780520239258. $39.95; ebk. ISBN 9780520962644. Wilson, Joseph S. & Olivia Messinger Carril. The Bees in Your Backyard: A Guide to North America’s Bees. Princeton Univ. 288p. illus. index. ISBN 9780691160771. $29.95. Biologists and bee experts Wilson and Carril, dismayed by the mischaracterizations of bees by even trusted news sources, set out to create a guide that was accessible to those without years of training in biology. It may come as a surprise that there are more than 4,000 species of bees. Among other misconceptions are that bees are aggressive and frequently sting and that they are social and live in hives. Consider the family ­Andrenidae, which includes 4,500 species, of which 1,200 live north of Mexico. Some of the Perditini bee tribe that frequent Southwest desserts are so specialized that they only collect pollen from primroses that bloom at dusk. The 900 color plates are stunning. Africa: An Encyclopedia of Culture and Society. 3 vols. ABC-CLIO. 1366p. ed. by Toyin Falola & Daniel Jean-Jacques. illus. maps. bibliog. index. ISBN 9781598846652. $294; ebk. ISBN 9781598846669. This rich reference source, representing the collective efforts of 50 scholars, is designed to serve both scholars and students. Edited by historian Falola (history, Jacob & Frances Sanger Mossiker Chair in the Humanities, Univ. of Texas), this work is arranged in 54 sections, one for each country or group of associated islands within Africa. Entries describe each country in terms of such topics as religion, social customs, food, and cuisine but also areas of change and modernization including gender roles, marriage and the family, and the media. Dozens of insets describe various subjects such as the burial practices of Burundi, the poetry of Ghana, and the Lost Boys of Sudan. 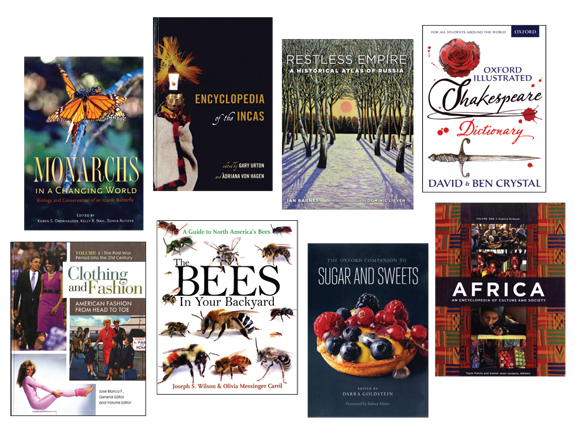 With country bibliographies and a chronology, it presents the diversity of this continent. Asian American Society: An Encyclopedia. 4 vols. SAGE. 2027p. ed. by Mary Yu Danico & Anthony C. Ocampo. illus. index. ISBN 9781452281902. $625; ebk. ISBN 9781483365602. This attractive four-volume source published in collaboration with the Association for Asian American Studies divides equally into two volumes, with some 300-plus entries, and two volumes collecting a vast array of primary documents from 1849 to 2013. Editor Danico (associate dean, Coll. of Environmental Design, California State Polytechnic Univ., Pomona) reminds readers that Asian Americans are not a monolithic group. Contributors are Asian studies specialists, principally from North America, and they describe the history and cultures of 21 Asian American ethnic groups. An article on Cambodians notes that there are 287,000 living in the United States, with large populations in California and Massachusetts. Terms covered include boat people, Bollywood, KPOP, and the 1.5 Generation. The SAGE Encyclopedia of Educational Technology. 2 vols. SAGE. 915p. ed. by J. Michael Spector. illus. index. ISBN 9781452258225. $375; ebk. ISBN 9781506311296. Starks, Glenn L. African Americans at Risk: Issues in Education, Health, Community, and Justice. 2 vols. Greenwood. 832p. bibliog. index. ISBN 9781440800757. $189; ebk. ISBN 9781440800764. Starks is a senior manager in the Defense Department and a biographer of Thurgood Marshall who has written extensively on public administration and American politics. He notes that African Americans comprise more than 13 percent of the United States population but lag well behind the majority in terms of the annual median household income and suffer unemployment rates almost twice as high. He explores some of the primary areas in which African Americans are at the greatest risk of falling behind. Topics focus on education, health, family, children, and crime and criminal justice. For each, the author defines the issue, discusses the implications, and advises ways to improve the situation. This is an important primer for teachers and students. Sports Leadership: A Reference Guide. Mission Bell Media. 500p. ed. by Mark Dodds & James T. Reese. illus. index. ISBN 9780990730019. $130. This is one of a series of cutting-edge titles that focus on leadership, a rapidly expanding field of study. 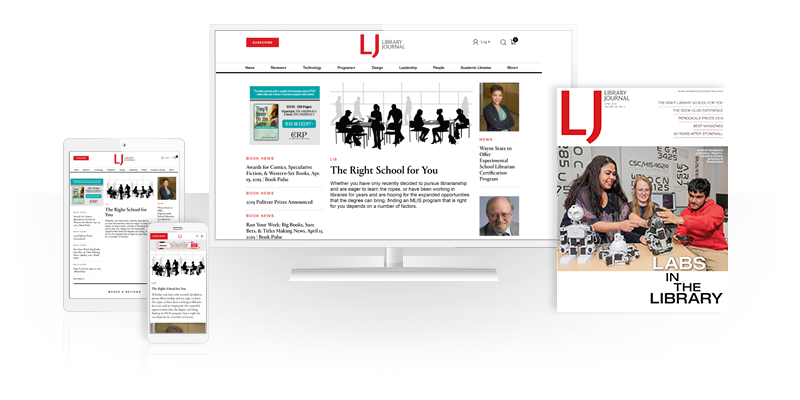 Editors Dodds and Reese have both academic and professional sports experience in marketing, law, and management. Contributors are American academics who work in these fields, and they address leadership among athletes, in sports organizations, in coaching and managing, and in sports business as well as leadership ethics. Topics from emergency action plans to ticket operations are covered. Common to all volumes in this series is a helpful leadership glossary created by Jeni McRay (leadership studies, Fort Hays State Univ.). With the value of the sports market in the United States estimated as high as $470 billion and employing 1.6 million people, this is a needed resource. Brian E. Coutts is Professor and Head, Department of Library Public Services, Western Kentucky University, Bowling Green. Cynthia Etkin is a Librarian in Washington, DC.